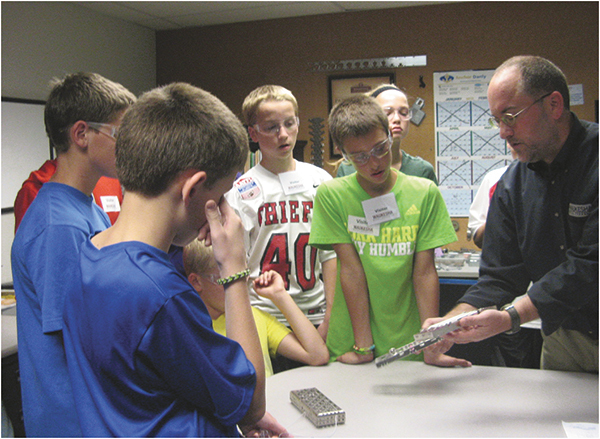 The Grafton, WI fabrication facility of Waukesha Metal Products hosted a tour for 80 eighth-grade students and their chaperones. 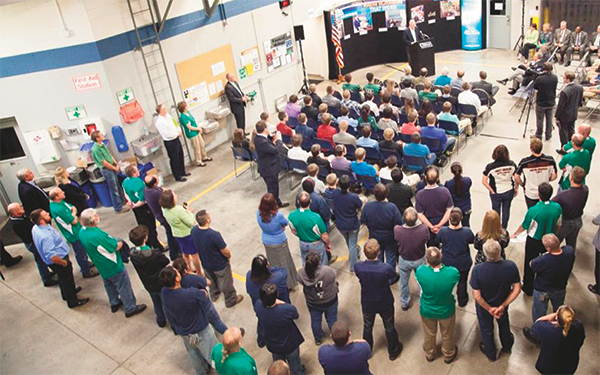 Numerous metalforming and fabricating companies across the country opened their doors to their local communities on Friday, October 4, 2013, as part of the second annual Manufacturing Day festivities. 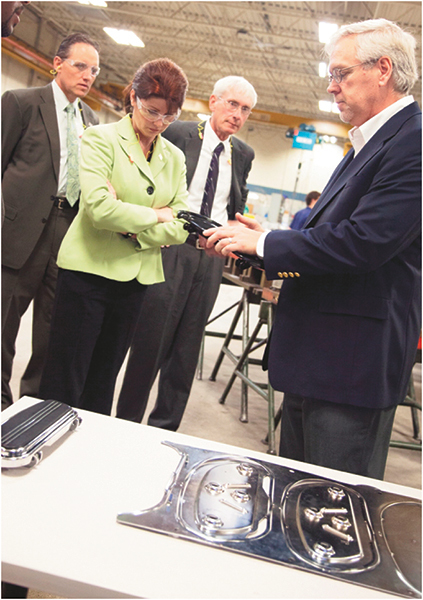 Included were several Precision Metalforming Association member companies. PMA and its sister association Women in Manufacturing are among several industry-leading organizations sponsoring this national day, designed to promote careers in manufacturing to students and others. 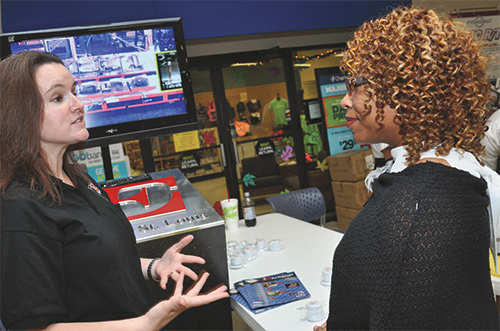 Companies joining the Manufacturing Day celebration designed plant tours and informational sessions to address common misperceptions about manufacturing. They presented what manufacturing is—and what it is not. The goal is for manufacturers to connect with future generations, take charge of the public image of manufacturing, and ensure the ongoing prosperity of the entire industry. Students from four high schools joined local VIPs on a tour of Ultra Tool & Manufacturing, Menomonee Falls, WI. Among those in attendance: Wisconsin Lieutenant Governor Rebecca Kleefisch and Secretary of Workforce Development Reggie Newson, who also toured Waukesha Metal Products. McGregor Metalworking Companies, Springfield, OH, welcomed Springfield High STEM School students on a guided tour of its Ohio Stamping & Machine facility. Since 2011, the high school has participated in a student internship program with McGregor Metalworking. 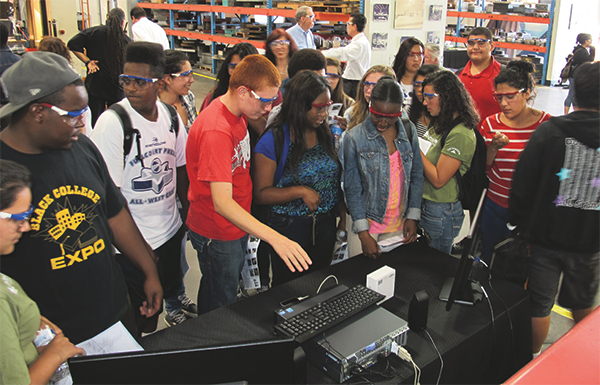 In Torrance, CA, Ace Clearwater showcased its manufacturing operations for nearly 200 students from local grade schools and colleges, “to fertilize their curiosity,” says Ace vice president Gary Johnson. 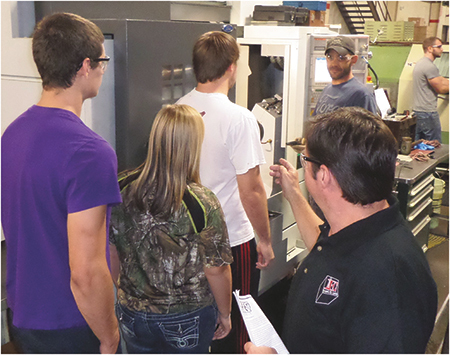 More than 20 tour groups totaling nearly 250 students from six high schools visited Ehrhardt Tool & Machine, Granite City, IL. 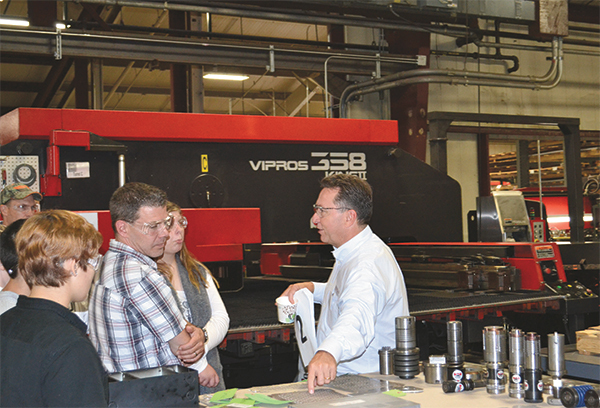 Ehrhardt joined with nine other local companies to offer tours, “the largest combined Manufacturing Day event in the country,” says Ehrhardt president Bob Roseman.